Fifteen years after her brother was killed by a drunk driver, Harriette Mandeville saw an apparition of him in her kitchen, sowing the seeds of spiritual awakening within her and opening an avenue for her to explore her truth to life’s biggest questions. As she learned ways to connect with the divine, Mandeville began to expand her identity into larger realms of perception, understanding, and communication. Lotus Hawk, the intuitive, was born. As an intuitive, Lotus Hawk tunes into spiritual lines of communication that transcend mortal existence. With the intent of helping others do the same, she shares a framework of guided daily spiritual practices based on prayer, meditation, writing, and affirmation; a collection of prayers and reflections for guided conversation with God throughout the day; and a compilation of messages she has received throughout the years for others and the world. 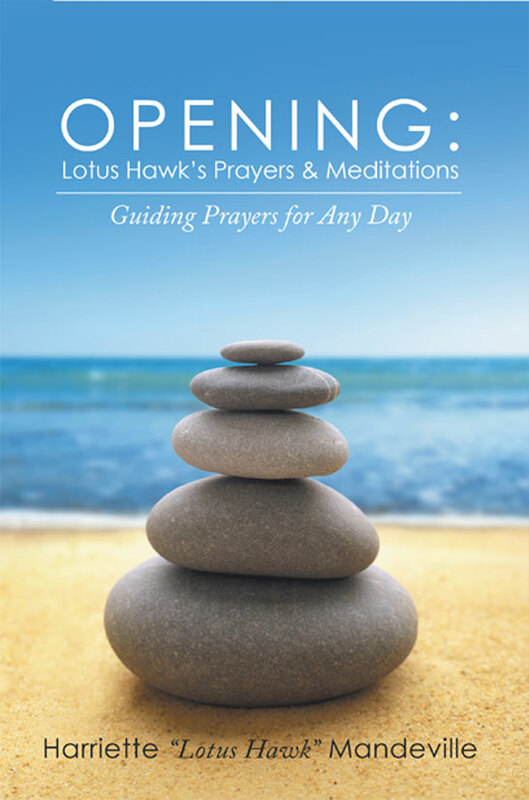 Opening: Lotus Hawk’s Prayers & Meditations is a powerful guidebook of daily prayers, affirmations, and meditations for anyone seeking a channel to hear the messages of the universe and find their special and empowered selves.